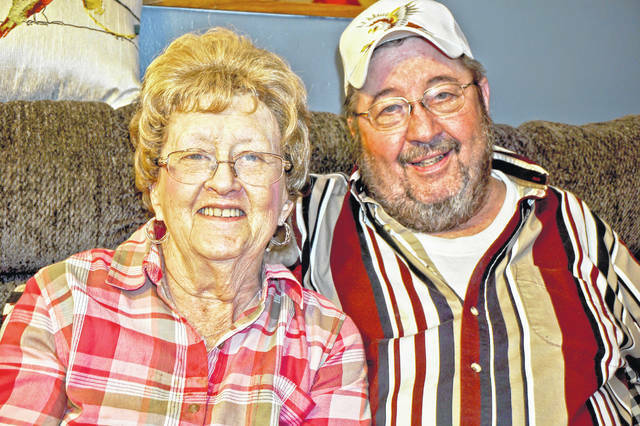 On Dec. 7, Homer and Mary Rhodes of Bainbridge celebrated their golden wedding anniversary. Homer and Mary were both born 72 years ago on the same day they were married. Homer is a Vietnam veteran and a retired meat cutter from Big Bear. Mary is a homemaker. Together, they have three children, Bradley (Debora) Rhodes of Hillsboro, Jason (Sandra) Rhodes of Chillicothe and Kendra (Jonathan) Hess of Pickerington. They are blessed grandparents and great-grandparents. The couple celebrated their special day together. The following day they celebrated with a surprise anniversary and birthday dinner party with a vow renewal ceremony and music entertainment enjoyed with family and friends. They are pictured in one photo on their wedding day on Dec. 7, 1968 and in more recently in the other photo. https://www.timesgazette.com/wp-content/uploads/sites/33/2018/12/web1_Rhodes-new-pic.jpegOn Dec. 7, Homer and Mary Rhodes of Bainbridge celebrated their golden wedding anniversary. Homer and Mary were both born 72 years ago on the same day they were married. Homer is a Vietnam veteran and a retired meat cutter from Big Bear. Mary is a homemaker. Together, they have three children, Bradley (Debora) Rhodes of Hillsboro, Jason (Sandra) Rhodes of Chillicothe and Kendra (Jonathan) Hess of Pickerington. They are blessed grandparents and great-grandparents. The couple celebrated their special day together. The following day they celebrated with a surprise anniversary and birthday dinner party with a vow renewal ceremony and music entertainment enjoyed with family and friends. 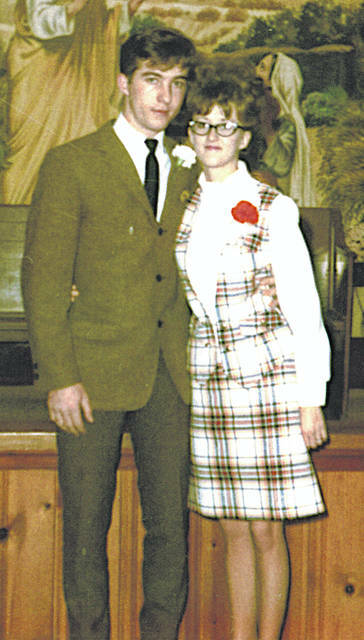 They are pictured in one photo on their wedding day on Dec. 7, 1968 and in more recently in the other photo.